LOS ANGELES (AP) - Advocacy groups say that Immigration and Customs Enforcement officers are rounding up people in large numbers around the country as part of stepped-up enforcement under President Donald Trump. 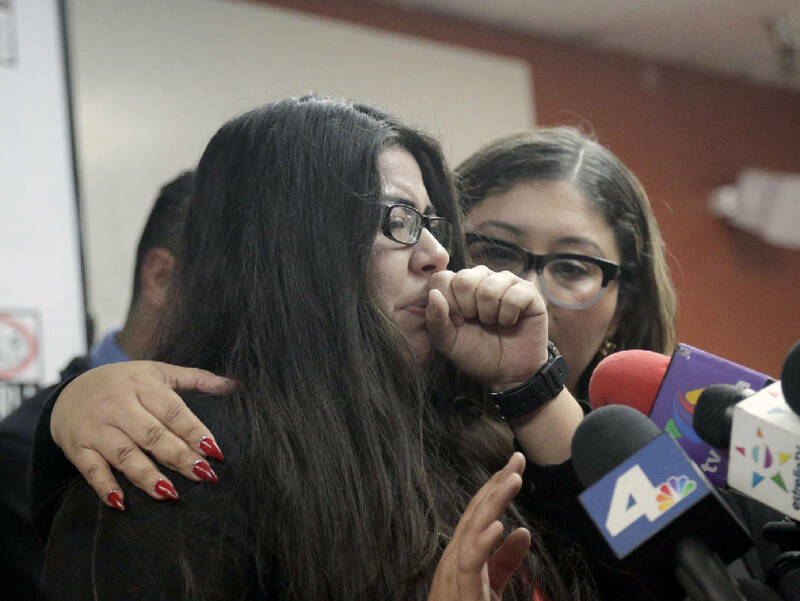 Advocates began fielding calls Thursday from immigrants and their lawyers reporting raids at homes and businesses in the greater Los Angeles area. In one instance, agents showed up at the home of a 50-year-old house painter named Manuel Mosqueda in the Los Angeles suburbs, looking to arrest an immigrant who wasn't there. In the process, they spoke with Mosqueda, arrested him and put him on a bus to Mexico - though lawyers were able to halt his deportation and bring him back.